What can this mushroom teach us about Ferguson and much of the ills of this world? My heart aches for lives and souls lost. For being blind to human dignity. For seeing with our molded, manipulated imaginations and not with our hearts. For losing to fear and not to courage. My heart aches for these actions burn like wildfire. Rampant. Reckless. Contagious. Destructive. Debilitating. Deadly. Yet, fire is not victorious. My heart surges for the fertile medium that remains. Scorched yet not silent. Incinerated but not extinguished. Cremated but not breathless. Ablaze but not barren. Charred yet still buoyant. For up out of the gravid soil, life struggles to emerge. Bold. Defiant. Dauntless. A fire-eating delicacy bursts through. Beautiful in its complicated brokenness. Stalwart and assured. Breathing in and out new possibility. 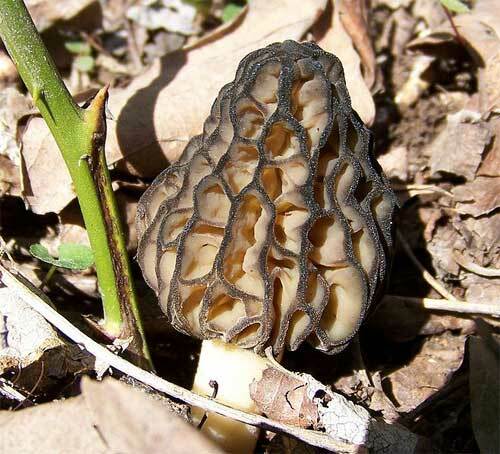 The Black Morel is an edible mushroom, a delicacy, that grows in massive quantities only in areas scorched by wildfires. “Human progress is neither automatic nor inevitable. Every step toward the goal of justice requires sacrifice, suffering and struggle, the tireless exertions and passionate concern of dedicated individuals.”- Dr. Martin Luther King, Jr.